disclaimer: I was provided with free admission to facilitate this review but regardless, my opinions are my own. One of the things that I do love about living in Phoenix is that we are so close to everything. Want to go to the mountains and see snow for the winter? Drive a few hours north. Want to go to Rocky Point, Mexico? Drive a few hours south! Want to go to California- westward ho! We are also very fortunate in that we have many local businesses that provide the community with farm local produce, eateries, events and products. 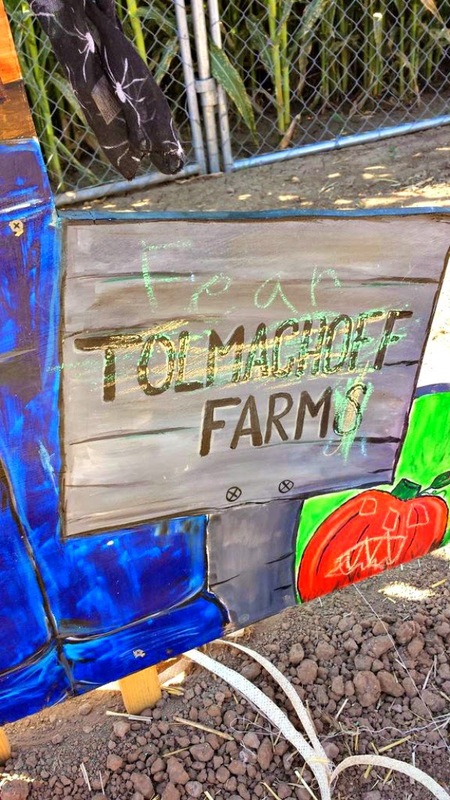 One of those local businesses is a family farm, Tolmachoff Farms. 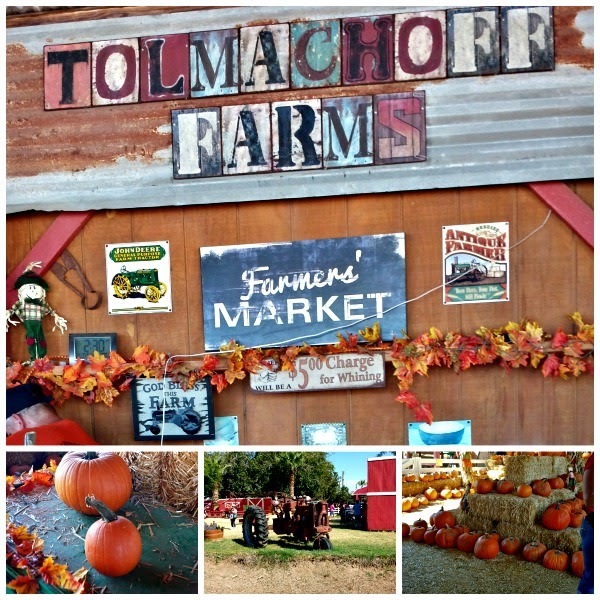 They offer many seasonal events that are a lot of fun. Many of you know that I grew up in Kansas and to me, farming is beautiful. The acres upon acres of farmland full of the agriculture to feeds us. Farming is a dangerous profession and farmers dedicate so much to cultivate their lands and animals. They are dependent upon commodity prices, the weather and the economy in order to eek out a living. 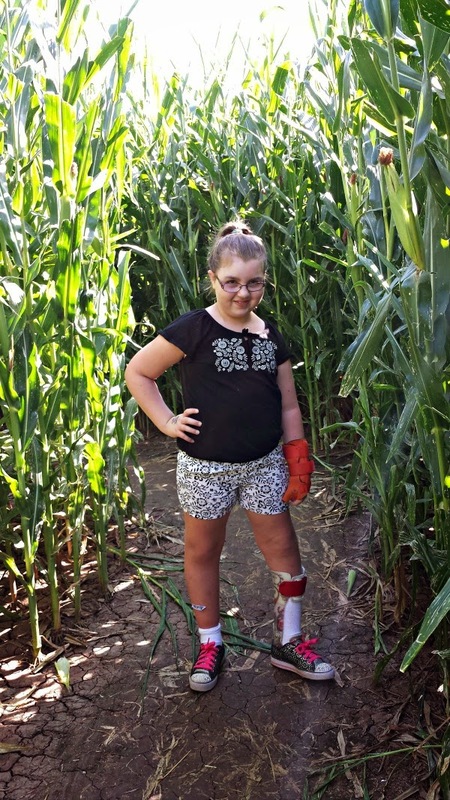 So yesterday (Saturday), Emma and I headed out to the farm! We haven't been in a few years, no particular reason just haven't gone. To make a long story short- we had a blast! The first thing we did, was go to the pony rides. She loved petting them but changed her mind on riding one. Ha ha. 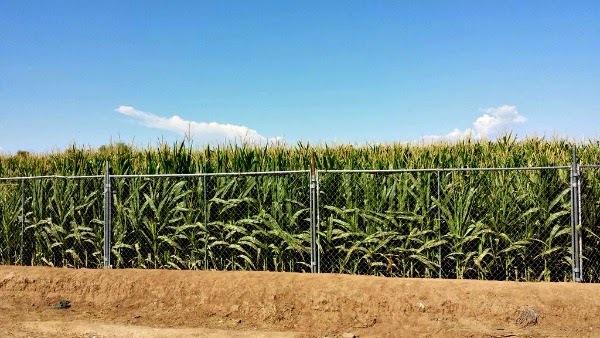 We ended up going through the mini corn maze. 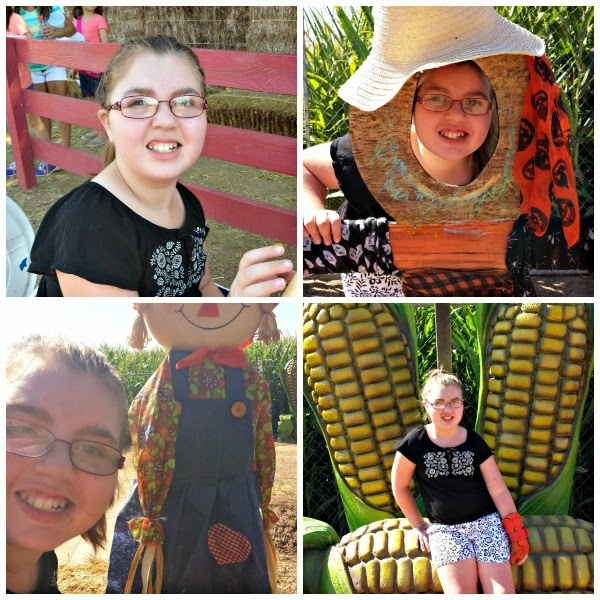 She had a blast and was sooo excited to see a chicken running through the corn. She thought it was the perfect place to stop and pose. Ha. It was pretty warm on Saturday and I think it was like 89 out while we were there. Full sun, too. They had refreshments (drinks, food, the works! ), stands around for water and gatorade, and many, many, many activities for kids. 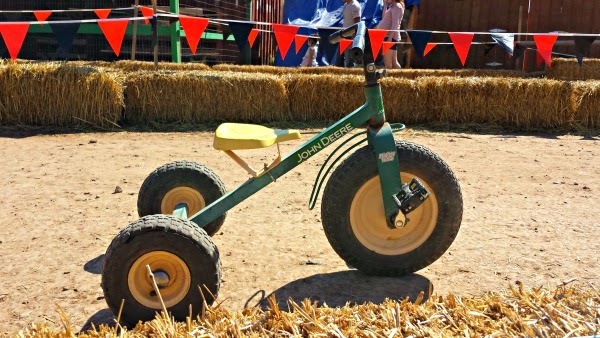 They had a petting zoo, bouncy, pedal cars, trains, etc. 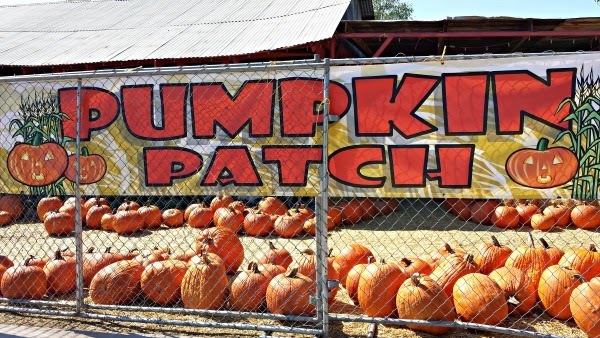 and of course, the pumpkin patch itself. We rode the train (my back is mad at me for squeezing into a car that is sized for a child but my child was freaking out. Haha. Oh my goodness- she was soooooooooooooo scared! Haha. She thought she was going to fall out and then, she decided it was the greatest thing ever. 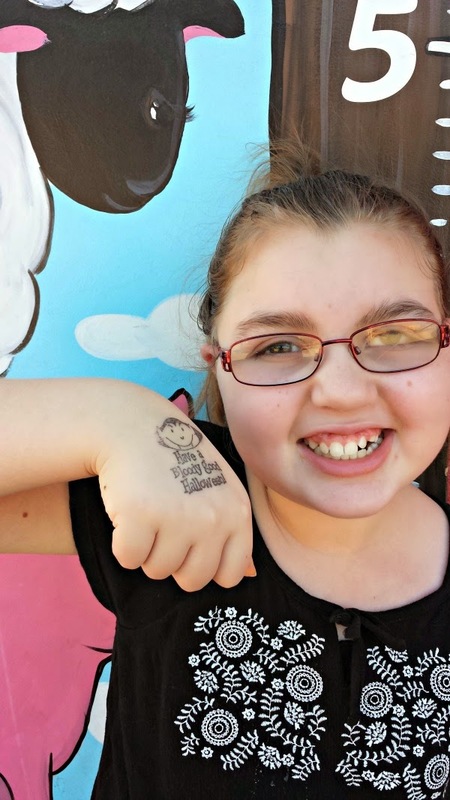 She told the driver that he went to fast and he said he was sorry and she should have told him and she said I did but it's okay because it was AWESOME and I wanna do it again and I was brave! Her excitement was so palpable. Even though it was warm, it was hopping and when we were leaving- many more were still coming in. Every person working there was extremely friendly and the customer service was awesome- especially dealing with the crowds! Of course, you don't leave without stopping the Farmers' market and picking up goodies. Emma picked out a little pumpkin and I grabbed some pumpkin butter (it's a HUGE jar for $8! I am such a happy girl!). 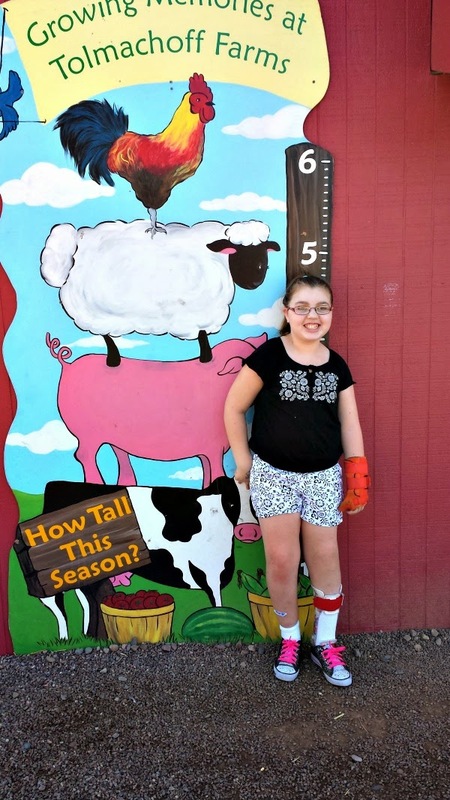 I am so glad we went and Emma is still talking about the farm and wants to go back! 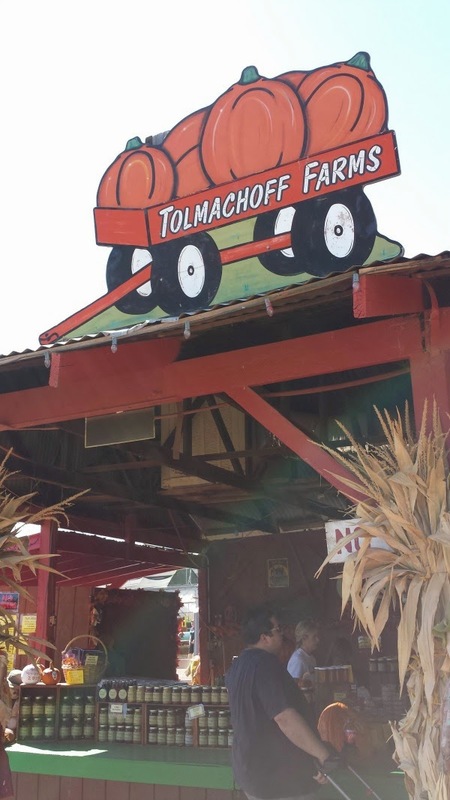 As always, Tolmachoff Farms is the destination for Arizona families! While you are in the area, swing by and say hi! Tell them I sent you!